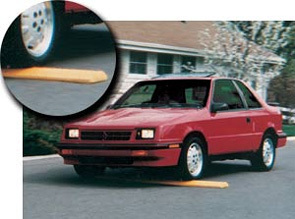 This light weight, 100% recycled plastic speed bump is a smart, safe investment for your property. The molded-in color eliminates costly painting fees. The 3-bolt anchoring system allows easy relocation when paving, removing snow and seal coating.